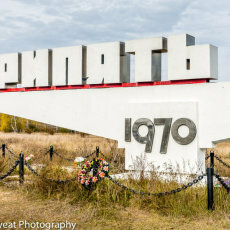 On 26 April 1986, following an explosion at the Chernobyl Nuclear power plant, a cloud of radioactive dust exhausted from the severely damaged Reactor No.4.The Soviet government, for some reason, refused to admit the accident, not only to the rest of the world, but to the city of Pripyat (pop. 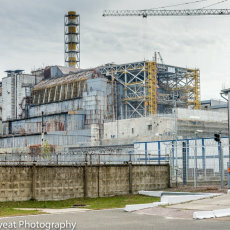 11,000) located only 3 kms away, directly under the toxic cloud. 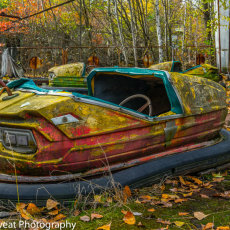 It was only when the Swedish government alerted the world to the incident 4 days later that the evacuation commenced. 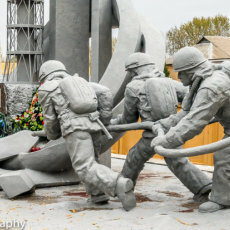 The monument to the 'Men who saved the world', Chernobyl. 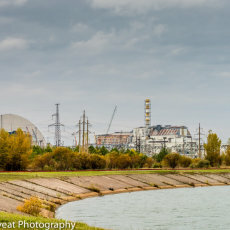 Reactor No.4, the scene of the disaster on 26 April 1986. 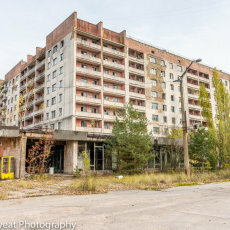 Pripyat city, built to hold the workers and families in 1970 lay directly in the cloud's path. 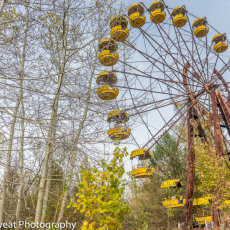 The fairground's ferris wheel still intact awaiting use. 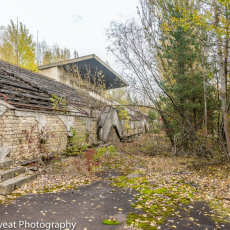 The Sports stadium, built to seat 5,000 fans of football and athletics, now a forest. 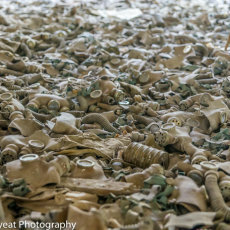 Children's gas masks cast aside in the school, useless against the invisible enemy. 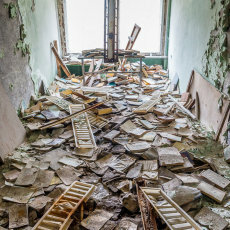 Library books remain in the school, all furniture was removed in the 90's to sell once the Soviet Union crumbled. 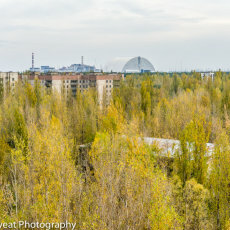 Chernobyl Nuclear Power plant ominously looks over the city of Pripyat.